Paris: Five months after 195 nations sealed the world''s first global climate deal, diplomats gather again in the French capital tomorrow to start translating good intentions into reality. From Sajjad Hussain Islamabad, Apr 14 (PTI) Air forces of Pakistan and China today began their fifth joint exercise, signalling increasing military cooperation between the two all-weather allies. London: From H S Rao London, Apr 14 (PTI) No Indian author has made it to the Man Booker International Prize for fiction shortlist this year that has an elusive Italian author, who writes under the pseudonym Elena Ferrante, and the Nobel laureate Orhan Pamuk. Kiev: Ukraine''s parliament today appointed pro-Western speaker Volodymyr Groysman as Prime Minister in a bid to end months of political gridlock and unlock vital aid to the war torn-state. Colombo: Widespread impunity continued last year in Sri Lanka for the crimes committed during the armed conflict with the LTTE and following the end of the civil war, a new report released by the US State Department has said. From Lalit K Jha Washington, Apr 14 (PTI) US First Lady Michelle Obama has praised the recent steps taken by India to educate and empower girl students through various programmes that break down the cultural barriers that keep them out of school. From Lalit K Jha Washington, Apr 14 (PTI) US President Barack Obama has profusely praised two Indian-American science whiz kids for their innovative ideas and path breaking thinking, which he said would help serve the global community. New York: Bernie Sanders has won Time magazine''s readers'' poll of the world''s 100 most influential people, garnering more than three times as many votes as his rival Hillary Clinton. Islamabad: Pakistan received at least USD 13 billion from the US since the September 11, 2001 attacks for logistic and other support in the war against terrorism, the country''s parliament was told. 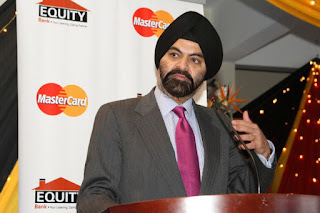 From Lalit K Jha Washington, Apr 14 (PTI) President Barack Obama today appointed Indian American MasterCard CEO Ajay Banga to a key administration post as a member of the Commission on Enhancing National Cybersecurity.